most innovative supermarket chain in the U.S. Here was the reality: 29,000 stores had closed over the past two years in the US alone. Lindstrom Company helped transform Lowes Foods from a struggling company to one of the most innovative supermarket chains in the world. Lowes overcame the odds and redefined themselves, migrating from a conventional supermarket into an entertainment company. Revenue in each store has nearly tripled, and all indications are that this is just the beginning. 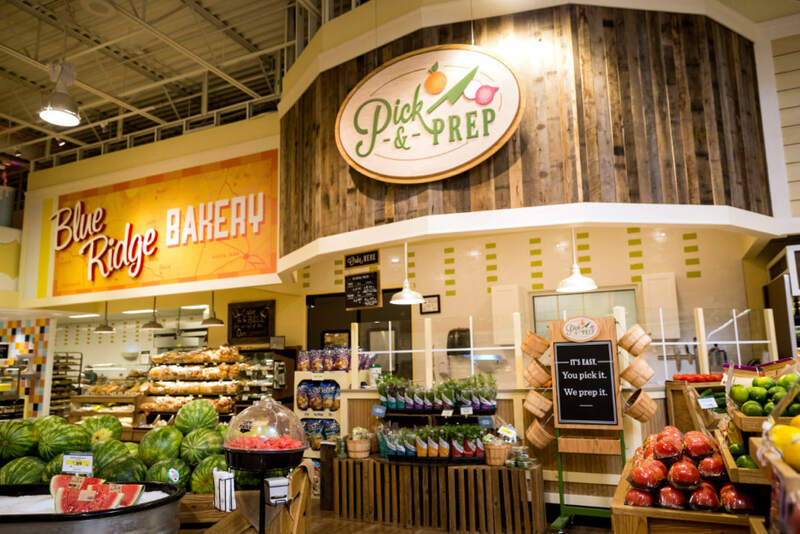 Co-authors of a project now acknowledged globally as one of the most extraordinary supermarket transformations in the history of grocery stores. What were the catalysts that forced Lowes Foods into the make or break decision, to rethink its entire purpose? To begin, competitor inroads into traditional Lowes Foods territory was beginning to hurt. Lidl, Aldi, Publix, Whole Foods and Trader Joes were branching out and finding retail opportunities within Lowes Food stores’ proximity. Discounting price wars, shifting consumer habits, and a me-too brand unable to provide Lowes Foods customers any perceived or real reason to experience anything different from other large supermarkets, began to expose a growing consumer disconnect. 29,000 store closings – and two nationwide supermarket bankruptcies later, the conclusion was inescapable: the supermarket industry was in a spiralling crisis. And Lowes Foods was at a crossroads. Forge a new path. Or close up shop. Fortuitously, Lowes Foods chose the former. What happens when Disney meets Trader Joes? You get the world’s most innovative supermarket chain. You get store concepts you would expect to find in an Amusement Park. You get fun, entertainment and a whole new shopping experience. You get Lowes Foods. A mid-sized U.S. based supermarket chain anchored in North Carolina. Thus began a 3-year, quarter of a billion dollar project that saw Lindstrom Company, in close partnership with the owners, board and senior management of Lowes Foods, pioneer a store concept revolution that would come to define and shape the next generation of supermarkets, inside and out. And it all started with…courage. To listen to what the thousands of employees the Lindstrom team involved in gathering consumer insights had to say. And then to mirror some of these ground-breaking observations with equally as remarkable concept innovations. The team picked up on one reiterating clue – how life has changed in the smartphone era; how the fabric of communities had begun to fray, become dysfunctional, pointless, lost. Where were the kids playing in the streets? The neighbors chatting over the fence? Why were the community centers so disarmingly quiet? Where was the regular Church-going flock? Bring the community back to the table, literally. Turn the centre of the store into the town square of old. Position an old, very large table at its heart, and invite the community in to meet and greet. Bring in local farmers to display and sample their produce. Bring people together. And then, once the town centre of every store is established, surround it with its own shops – stores within a store – each with its own distinguishing personality, each offering something totally unique. Walk into any Lowes Foods store today and you’ll be forgiven for thinking you’ve arrived at an ‘Old Italy’ movie set. Where else does the butcher verbally compete in shouting matches with the chicken chef, the pastry chef with the baker? Where else do kids get to crank up the sausage maker, or blow out giant candles on top of the bakery? Where else do the less inclined male shoppers get to chill at a Beer Den created just for them? 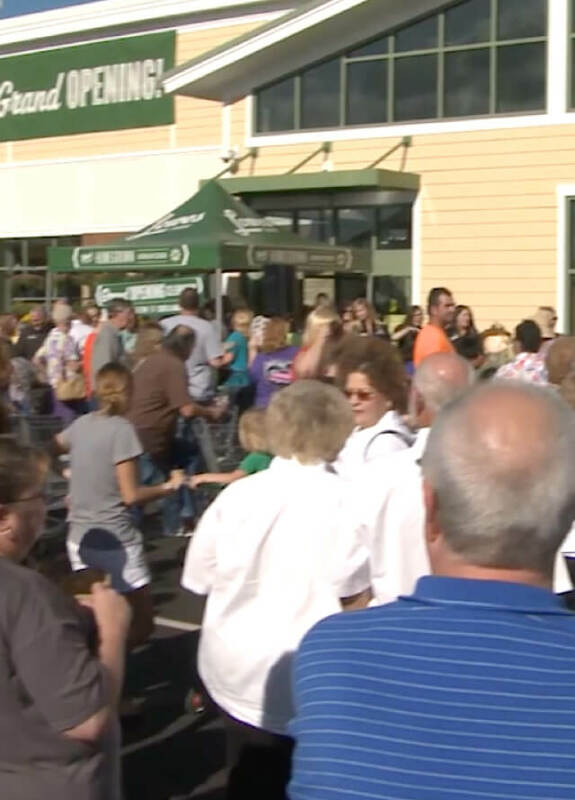 The shopping experience at Lowes Foods has been transformed, because the very community who gravitate to the stores are welcomed and celebrated individually and collectively, as they were always meant to be. Indeed, from the community table to the inner concept ‘stores’, every Lowes Foods is its own micro-village, complete with its own store mayor. 3 years later, Lowes Foods is rightfully acknowledged as the undisputed leader in supermarket transformation, thanks in part in its ability to innovate under pressure, (particularly at a time when the industry is in an unprecedented crisis); and in part to its willingness to break with antiquated convention. Which always takes courage. 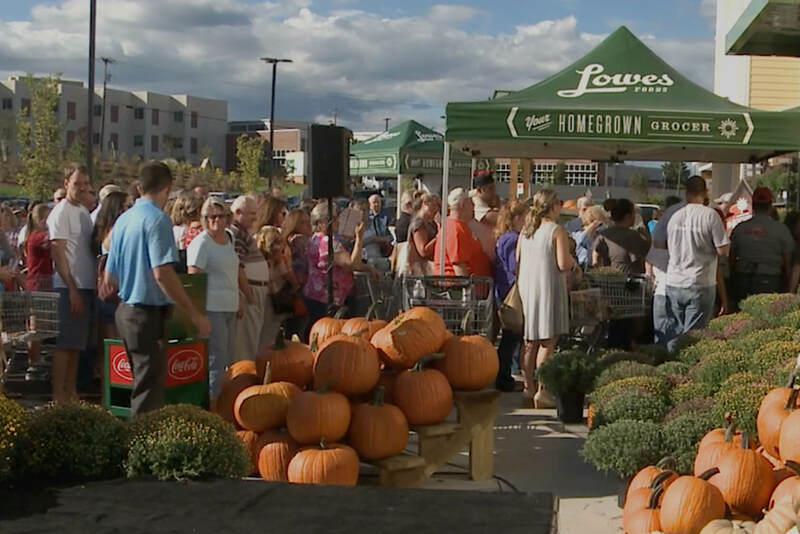 Go to any new store opening and you’ll be amongst thousands of guests excited to experience a taste of Lowes Foods. No wonder the chain has experienced double digit growth – and some of the highest customer rankings in North America.